Nissan's 350Z is an inexpensive, great-handling chassis with plenty of room under the hood for a V8. This example may have lots of miles, but it also sports pretty good paint and no rust or signs of major accident damage. It does have one patch of peeling clear coat, though. We'll fix that with some cleverly-positioned vinyl. Yes, those are knife marks on the seats. Nothing a few race seats won't fix. The previous owner used the car as a delivery truck, judging from the trunk area. The car is currently powered by a 287-horsepower aluminum V6, paired with a 5-speed automatic transmission. 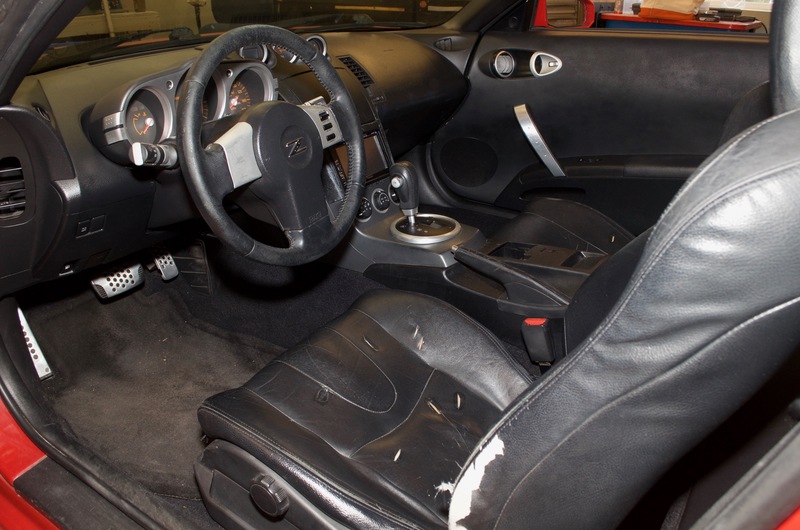 Some projects are about the car, like our Z06 Corvette. Some are about a task, like our Ramp Truck. 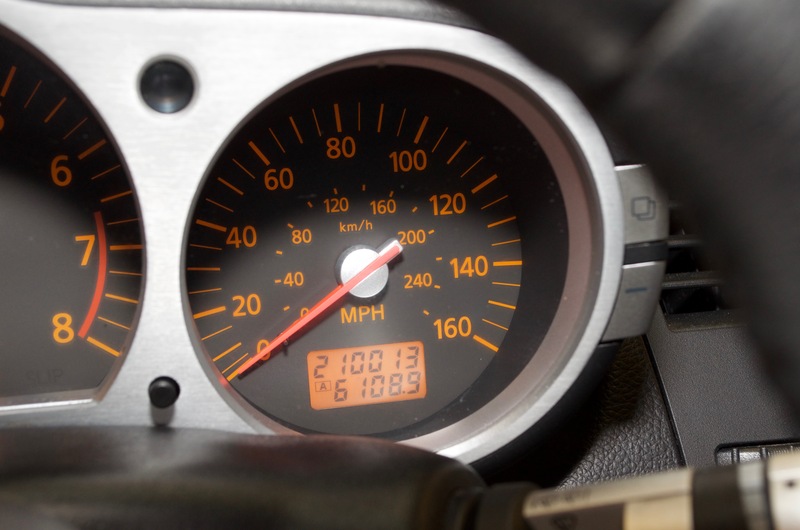 Some are about a person, like our Rotary Miata. This one, though, is about an engine. We’ve been rebuilding a $400 LS1 ourselves, with the goal of stuffing it into a car and going very, very fast. 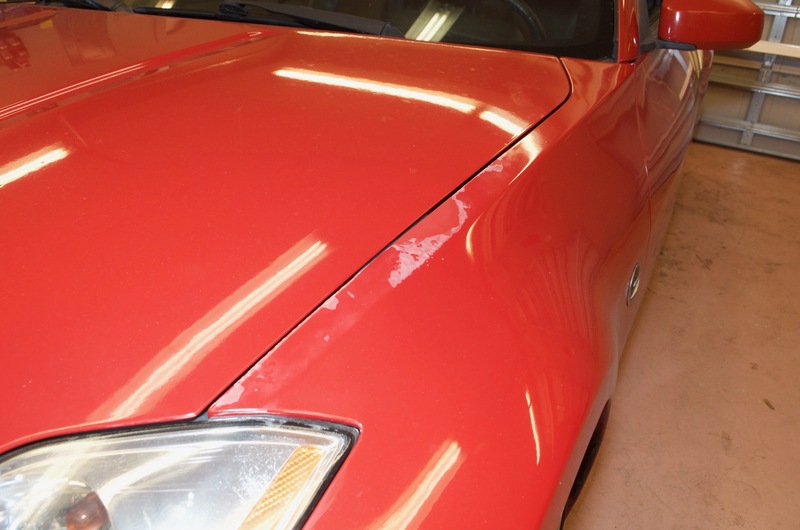 Finally, we’ve found our victim: This 2003 Nissan 350Z. The other top candidate was an E36-chassis BMW M3, but that car turned out to be too rusty to save, never mind race. Why choose a 350Z? We had a few reasons. First, they’re common and inexpensive: We paid just $4500 for this example, which runs, drives, and looks great. It’s even got cold A/C! And if you want one of your own, just type 350Z into craigslist and take your pick. 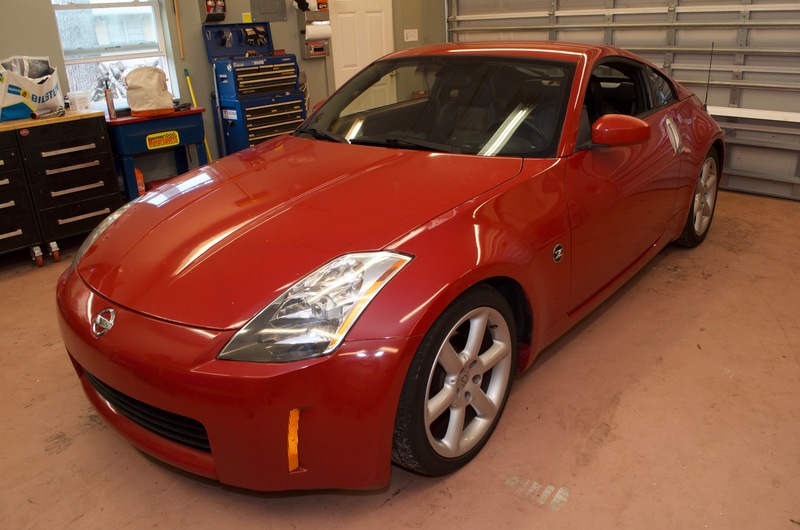 Nissan produced the 350Z for 8 model years, selling nearly 162,000 examples of the 350Z in the U.S. alone. No, those aren’t Camry production figures, but they mean that the 350Z isn’t a rare car by any means. Second, the 350Z gives us a great chassis as a starting point, as we proved with our last 350Z autocross car. 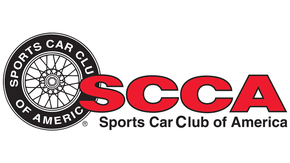 It’s also a platform that’s already received a few well-documented LS swaps, most notably by Savanna Little Racing, a regular at our Tire Rack Ultimate Track Car Challenge. This means we won’t be doing this all alone, and can learn from others’ mistakes on our road to a fast track car. Third, we already have an awesome partner lined up: LOJ Conversions makes exceedingly well thought-out LS swap kits for a few different cars, including the 350Z. They’ve agreed to help us with this project, donating a kit and their time to get our car running on all eight cylinders. After that, the sky’s the limit. Well, the lifters, too–but we’re pretty sure we’ll be okay there. Knifemarks on the seats... Where are you buying from? I'd prefer to see you do it to a RX-8, but this is a mighty nice consolation prize. Am I starting to see that there may be a red colored car theme in the garage? 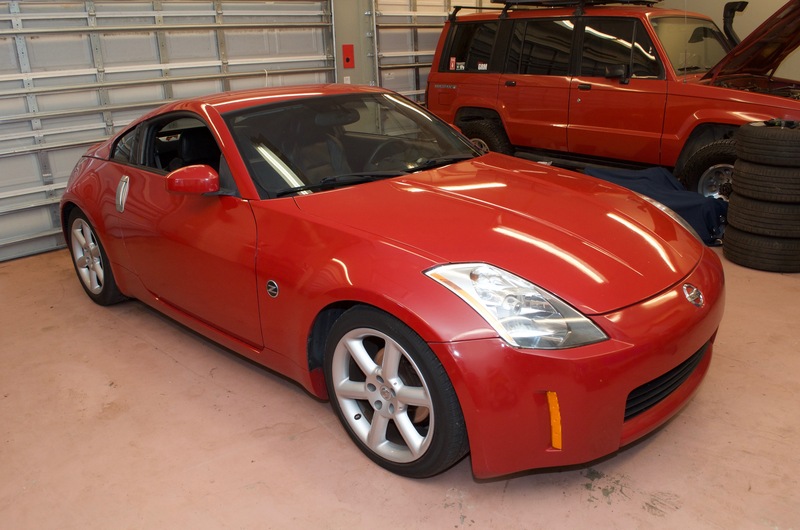 Hay you do know that the red box behind the 350z would be fun with a LS in it. 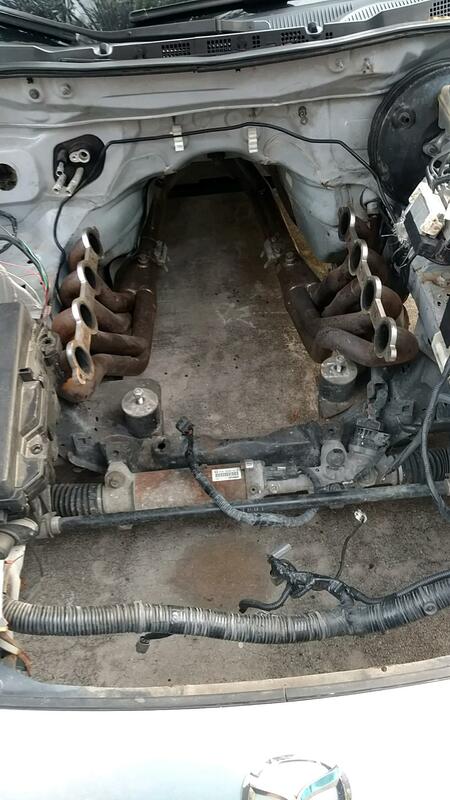 Om nom LS powered 350z? I'm excited. Probably craigslist from a buyer that only accepts cryptocurrencies. I buy all my projects on Craigslist! 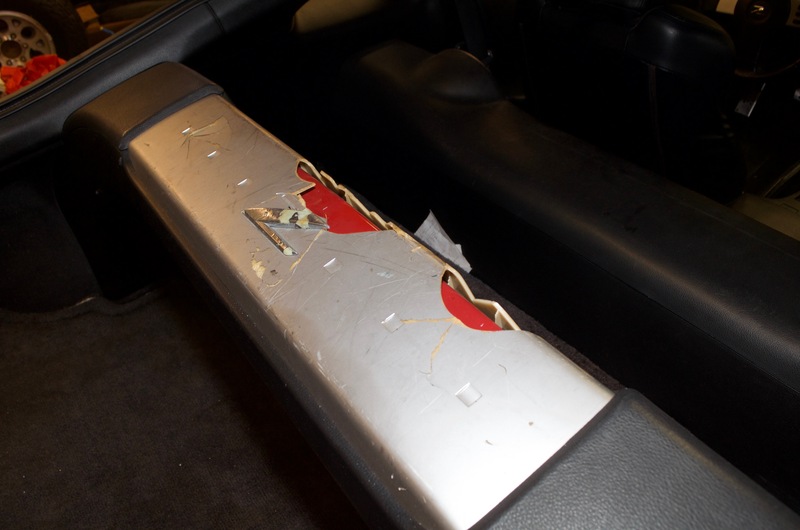 I think the seats were the result of an angry ex, not a murderer, since there are no blood stains. As far as the red box goes... don’t tempt me. A buddy of mind has an adapter plate that would let it bolt up to the stock 5-speed. Are you leaving the automatic or changing it out? Great project by the way. 350's seem to be everywhere and are pretty cheap, even for nice running and looking cars that need little work. If it makes you feel better I'm working on one. Sponsored by free time scouring forums, car-part and Craigslist. The automatic is going bye-bye, and I'm using a Tremec Magnum from American Powertrain in its place. Greg, you're only 5 miles from my house. We may need to share notes. Also, I've got a pile of F-body LS1 parts and accessories that you may be interested in. Interested in this build. Perhaps in honor of the seats, 350 Zlash. I'm a Craigslist only buyer as well. All my projects are bicycles tho. Red is a really sharp color in those z cars! Will it now be a 570Z? I don't know, coworker bought a 350Z to do a little autocross and seems more interested in track days now, and fully admits the car is too heavy among other things. I guess an LS would compensate for much. 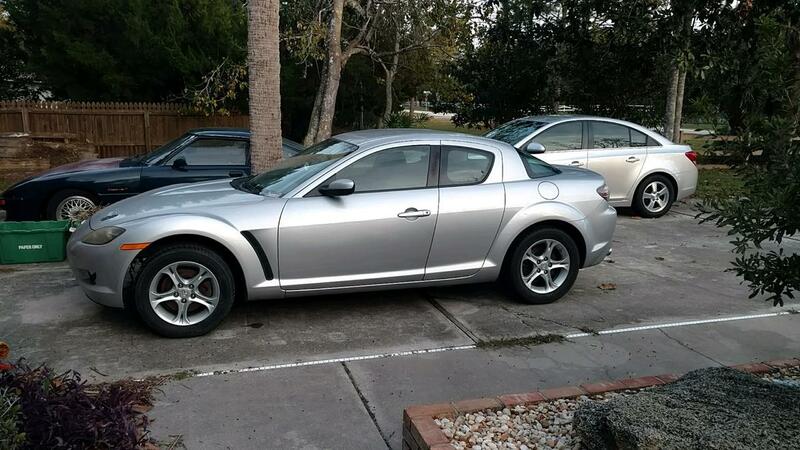 350Z vs RX8 for LS swap=no contest...The 350Z isn't ugly. Many, many years ago I was driving back down the beach after drag racing my cousin. He had stopped and was now running toward me down the beach. Turns out he had said the wrong thing to his crazy girl friend and she went after him with a hunting knife she had in her purse. When we got back to his car she was bent over stabbing the pristine drivers side bucket seat of his 64' Ford Fairlane Sports Coupe. She looked up at us with crazy blood lust eyes, but we eventually talked her down. They spent the rest of the night giggling and laughing in their tent. Go figure. They both sound horrible and should both be swapped. 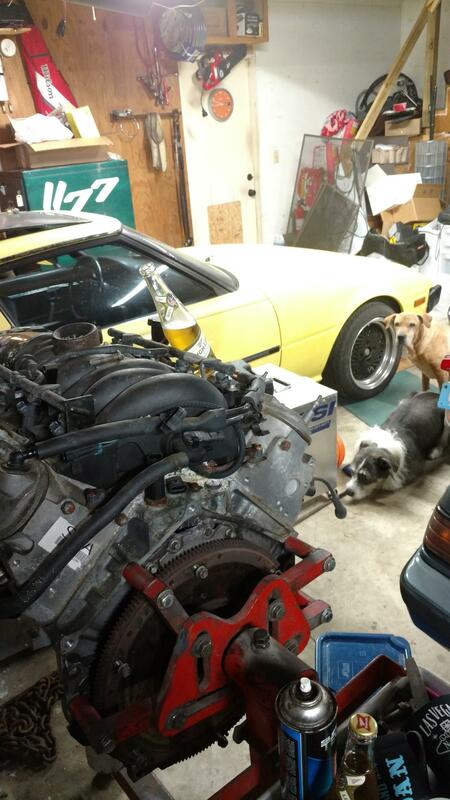 A first-gen RX-7 on Enkei92s, an LS on an engine stand, a bottle of Miller High Life, and two faithful dogs. If Heaven isn't a lot like Greg Voth's garage, I don't want to go. Yeah, it's no wonder I turned out the way I did growing up in that neighborhood. 350z is not the first car i think of putting a 'better' engine into, let alone a 350z that already runs, but hey.. I'm still interested since i have never looked into this swap before. Carry on.. I was wondering what happened to the BMW and the LS1. I had a forever build on a LQ4 6.0L that started not long before you. It is running in my Suburban now. So I knew there were major hold ups. If you need the front and rear cover aligning dealy's to finish the assembly, I have them. Not terribly expensive, but very useful. But for what they cost, sharing is good. Pro Tip, put a new oil pressure sender in if you aren't going full mechanical. I own two LS vehicles and have had two go bad, and they are a royal PITA to replace in the car. Ya and it looks like the tiniest little edge of a tail light of another first gen RX7 right next to the other. Double your fun. Can i drive it when it’s done? so, when will we see this in South Bend? This project spurred a thought. 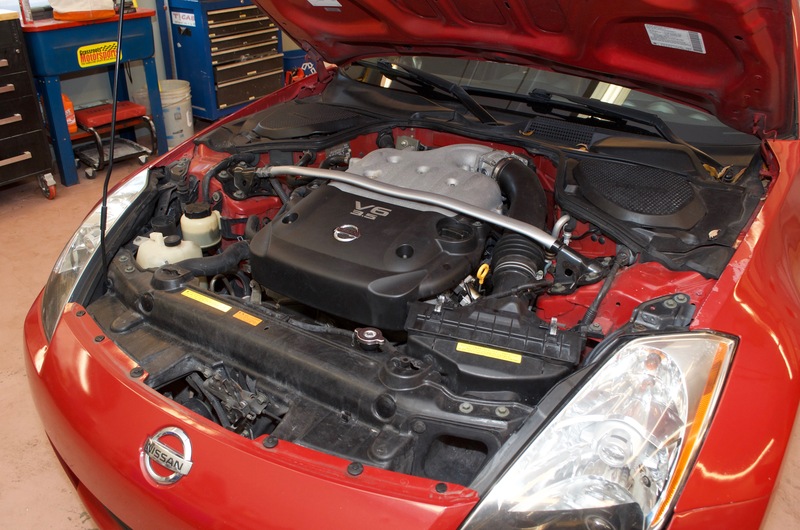 Are people installing Nissan V8s into Z-cars? I own two LS vehicles and have had two go bad, and they are a royal PITA to replace in the car. One time i did one on a Corvette.. I had the transmission out already so i did it from the bottom of the car with a 27mm crows-foot wrench. To me this is really ironic and hilarious if you know where the sensor is..
That is actually what I'm saying! I need to get rid of the automatic attached to it, too. I'll be done with the engine in late March, and it will come with a video of it running well and a Blackstone oil report. 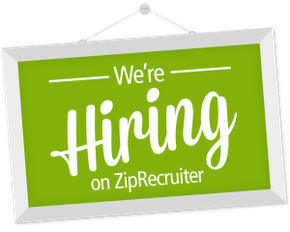 If you're interested, shoot me an email at tom@ this website.